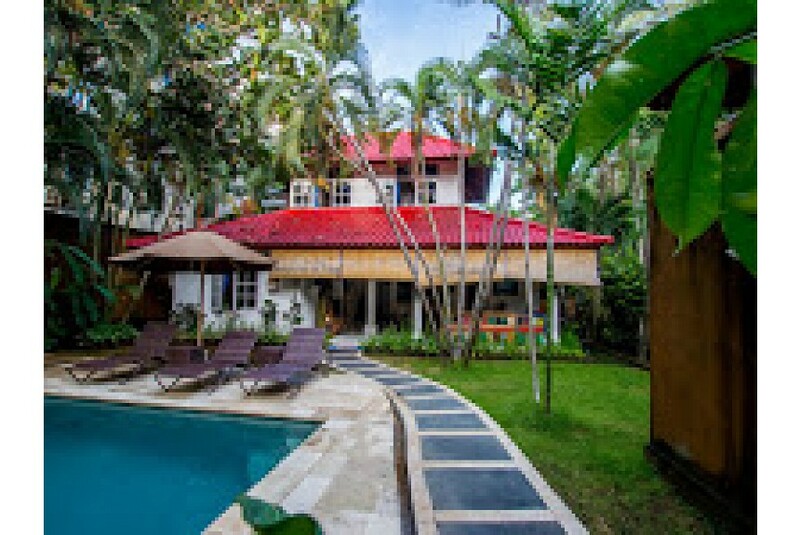 Beautiful villa with 3 bedrooms, 2 bathrooms, garden, big pool, Wi-Fi internet, TV cable, big kitchen, the living room will bring you in the heart of Bali island ambient. Located in a super quiet area in the south Umalas, close to Seminyak. Villa area is pretty big and you will enjoy your time in long swimming pool, surrounded by tropical plants and local style gazebo. You will arrive in your luxurious paradise escape and will be greeted by a spacious nirvana retreat. Our world has known experienced cooks are on call to prepare unforgettable breakfast delights for you. Once you arrive at our villa you will be submerged in our newly renovated high end designed island villa atmosphere. Each room has air conditioning, King-size bed, and ensuite big bathroom. Kitchen has everything to cook. The living room is open space, has a big dining table for 8-10 people. This villa is also baby friendly - we can organize baby cot, high chair or pool fence.